For many of us boaters, largely sailors but not only, the traditional yacht club gives us a little patch of water we think of as our own. “It’s a home away from home,” said Gary Jobson. “We’ve got to protect our yacht clubs,” and if we don’t, the sport of sailing will be in danger. 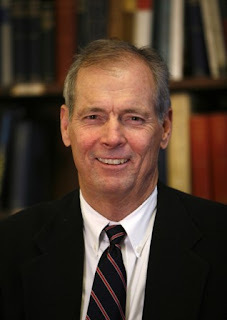 Jobson, perhaps the country’s best-known sailor, is the president of US Sailing, the national governing body for the sport; a veteran of an America’s Cup victory, and a noted sailing journalist and ESPN commentator. But he’s also a Jersey guy, quick to praise Barnegat Bay, where he began sailing as a youngster at the Beachwood Yacht Club, and where he worked as an instructor at the Toms River YC. He now lives in Annapolis, Md., but keeps his membership at both New Jersey clubs. Jobson was speaking recently at the Manasquan River Yacht Club to a gathering of representatives of clubs from around the region. His message was one of concern about the aging and declining participation in sailing but still upbeat on the future of the sport. Pricey development eating away at shoreline, the economy, environmental issues, insurance needs and litigation issues all conspire against waterfront access for the boater. A robust network of yacht clubs serves as a bulwark against these threats, he said. “These clubs are so precious ... we need to make sure they are viable at all times,” Jobson said. The term “yacht club” may sound pretentious and scare newcomers away. But a “yacht,” which can be loosely defined as a recreational craft, may be a very modest vessel. Certainly some clubs are fancier than others, but many are run with hands-on volunteer work by the down-to-earth membership. Often, yacht clubs are family-oriented, with grandparents, parents taking part. • Have a long-range plan for growth, drawing from what’s worked in the past. Update a mission statement periodically. • Do what you can to bring people to the club. Make sure the club decor is attractive for when people do come. Refurbish buildings as resources permit. • Consider a fleet of club-owned boats, so members do not need to own their own. It will bring “super benefits,” Jobson said. Many clubs are members of regional yacht racing associations. Our area includes the Barnegat Bay YRA (bbyra.org) and the North Jersey YRA (njyra.org), the latter covering Long Beach Island and north of Barnegat Bay, including lakes. The New Jersey Marine Trades Association has announced two scholarships for New Jersey residents interested in careers in the marine trades. The first is through the MTA/NJ Foundation and is for $3,000 at any marine trades program at any school. The second is for a full scholarship for the marine trades program at the Automotive Training Center in Warminster, Pa.
For further information and applications go to mtanj.org and see “scholarships” on the left side, or call (732) 292-1051. Applications are due by April 1. 2010: The Year of Ellison as the Cup comes home to the U.S.
SAN FRANCISCO (MarketWatch) -- So far, it looks like this is Larry Ellison's year. The hefty investments made in recent years by the billionaire chief executive of Oracle Corp. (NASDAQ:ORCL) in both business and sailing are paying off. On Valentine's Day, Ellison's high-tech trimaran and his BMW Oracle Racing team won the America's Cup, sailing's oldest trophy, the first American team to win since 1992. Winning the coveted sterling silver cup had become a singular quest for the competitive Ellison, right up there with leading the consolidation in the software industry. Both topics were clearly near and dear to the usually cool Ellison as he showed a rare burst of emotion at a press conference over the weekend, wearing his racing jacket and cap. He told reporters that when he realized he was sailing for the United States, and not just his team BMW Oracle, "I got chills," adding that it was "very primally moving." He had just jubilantly accepted the key to the city from San Francisco Mayor Gavin Newsom, standing on red-carpeted steps of the opulent rotunda in City Hall, with two white-gloved men on either side, guarding the America's Cup. The city is pulling out all the stops to try and win favor as the host city for the next America's Cup, which has never taken place in San Francisco. Ellison has been seeking this victory since founding team BMW Oracle 10 years ago. Since then, he has also been in a seething rivalry with Swiss Italian pharmaceutical heir, Ernesto Bertarelli, who founded the racing syndicate Alinghi, the winner of the America's Cup in 2007. Ellison eventually hired away Bertarelli's captain, Russell Coutts of New Zealand, who now has skippered four America's Cup victories. Ellison, CEO of one of the world's largest business software companies, was asked about the impact technology had on winning the race. His winning boat, USA, is a technological marvel, but Ellison has not disclosed how many millions he spent to build the massive trimaran. It has been estimated that he spent $200 million on the 2007 regatta. Ellison's boat can sail with a traditional mast and soft sails. But it also has a massive wing sail which towers a breath-taking 20 stories, or 223 feet, above the deck, made of carbon fiber. Precise control is the main advantage of the wing sail -- two times the size of wing on a Boeing 747 -- versus a conventional sail. The boat is outfitted with 250 sensors, feeding performance and wind speed data into, what else, a central database collecting all this data. "We had a really fast boat," Ellison said. "It was an enormous advantage," he said, adding, though, that the technology by no means guaranteed anything, and that the win was a combination of technology and human toil. He gave kudos to the crew who sailed the race in Valencia, Spain, skippered by Coutts. "But in the end, the guys on the water have to sail it and they did an absolute brilliant job of sailing the boat." For the next couple of months, Ellison is going to be the toast of a few cities competing to host the race. As a member of the Golden Gate Yacht Club in San Francisco, the club now becomes the defender of the cup. Ellison, who also has a home here, expressed a personal preference for the America's Cup to be held next in San Francisco, adding that such an event could bring about $1 billion in revenue to the city, but that infrastructure would have to be put into place to support an almost mini Olympic village. The America's Cup first began in 1851, and was won by a team from the New York Yacht Club. Newport, R.I., where Ellison has reportedly also bought a Gilded Age mansion once owned by the Astors, is vying with San Diego and other venues. Both Newport and San Diego have previously hosted the event, while San Francisco has not. Ellison's victory is the culmination of a dream for a very determined sailor. In business, Ellison exhibits the same relentless drive in his company's pursuit of deals and customers. Recently, Oracle was able to win over the European Commission, which had initially tried to block Oracle's deal to buy Sun Microsystems Inc. See Oracle and Sun news here. The 65-year-old software tycoon also pledged that Sun will be profitable now that the merger is complete. He reiterated Oracle's plans to invest more money into Sun by hiring 2,000 workers (the company is also cutting 1,000 jobs). "We are hiring," Ellison said on Saturday. "We are bullish on Sun." 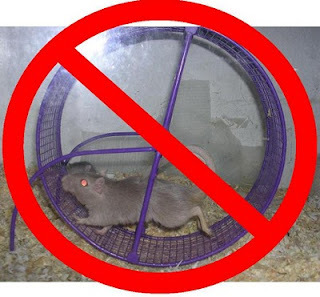 See Oracle news here. At a time when many companies are cutting back on their investments, especially in research and development, Ellison's and Oracle's investments are almost an anomaly. In sailing, that investment has paid off. With Oracle's string of mergers, investors have seen the company grow beyond its core database business and they will soon see whether Sun is a boost or a hindrance. AUSTIN, TX (February 18, 2010) – Valence Technology, Inc. (NASDAQ: VLNC), a leading international energy system manufacturer, today announced the signing of a multi-year supply agreement with BJ Technologie, a subsidiary of Bénéteau Group, the world’s largest sailing yacht manufacturer. Under the multi-year agreement, Valence Technology will serve as the exclusive battery supplier for all new Bénéteau Group hybrid-electric vessels that incorporate the innovative ZF Marine hybrid drive systems. Valence Technology will provide modular, scalable energy storage systems that will be placed in new hybrid-electric yachts, sailboats and motorboats for Bénéteau and Bénéteau Group partners. Initial battery shipments under this agreement are expected to commence in the second half of 2010. Order estimates by Bénéteau Group forecast up to $9 million in revenue to Valence Technology during the ensuing 12 months. “The teams from the Bénéteau Group and Valence Technology have been working closely together for many months now, with the combination of their expertise paving the way for this major technological breakthrough,” said Dieter Gust, Management Board Member, Bénéteau Group. In a major departure from the way boats and yachts have been manufactured for decades, new hybrid-electric sea-going vessels yield low to zero-emissions, reduce fuel consumption and require less maintenance than traditional diesel marine propulsion systems. Valence Technology dynamic energy storage systems can power both propulsion and auxiliary power systems without affecting the vessel’s performance or functionality. One of the most innovative features of the new hybrid drive system is the capability to recharge the advanced battery packs without the use of noisy, polluting diesel generators. The revolutionary ZF Marine hybrid drive system creates kinetic energy when reversing the propeller while under sail, thereby storing this regenerative energy back into the batteries. During normal operating conditions, a boat owner may never need to start the diesel engines to propel the boat and can leave port, sail and return to port completely powered by batteries or clean wind. “After intense testing and qualification, it is Bénéteau’s intention to launch this new blue water standard powered by Valence Technology’s dynamic energy systems, thereby leading the way in the development of the newest and most environmentally friendly sea vessels,” said Kanode. At December’s Paris International Boat Show and at January’s Dusseldorf Boat Show, Bénéteau, in association with ZF Marine, unveiled the new hybrid-electric drive system powered by Valence Technology energy storage systems. The Bénéteau Group has 22 production sites and 450 dealers in more than 50 countries. Valence Technology is an international leader in the development of safe, long-life lithium iron magnesium phosphate energy storage solutions and provides the enabling technology behind some of the worlds most innovative and environmentally friendly applications. Founded in 1989, Valence today offers a proven technology and manufacturing infrastructure that delivers ISO-certified products and processes that are protected by an extensive global patent portfolio. Headquartered in Austin, Texas, Valence Technology is strategically aligned by five business segments: Motive, Marine, Stationary, Industrial and Military. In addition to the corporate headquarters in Texas, Valence Technology has its Research & Development Center in Nevada, its Europe/ Asia Pacific Sales office in Northern Ireland and global fulfillment centers in North America and Europe. Valence Technology is traded on the NASDAQ Capital Market under the ticker symbol VLNC. For more information, visit http://www.valence.com/. As the world's number-one sailboat builder, the Bénéteau Group has continued to develop its business on the powerboat market, and is one of the leading players in Europe. On both sail and powerboats, the Bénéteau, Jeanneau, Lagoon and Prestige brands are able to offer more than 100 models ranging from 20 to 60 feet. The Group has one of the most prestigious names for the custom construction of luxury yachts: CNB. It is expanding its range in the segment for powerboats over 15 meters with Prestige Yachts and Monte Carlo Yachts. The Group is also a leading player on the European leisure home market and is developing its business on the market for high environmental performance residential homes. Bénéteau is a publicly traded company listed on Paris Euronext exchange under ticker "BEN" with 2008 sales of Euro 1.1 billion. MARION—To create the floating dream, that is the goal of Beneteau USA’s factory in Marion. “It’s a floating dream because somebody that buys what we create and what we provide has to be dreaming about it for a long time. It’s a huge investment, its more expensive than most people invest in their houses they have to dream about it for years,” Wayne Burdick, Beneteau USA President said. Beneteau USA has been manufacturing these “floating works of art” for 25 years. Burdick said the finished product is one of the biggest benefits of working for Beneteau. “People don’t work for money, they work for pride, they work for sense of fulfillment,” Burdick said. The France based company has been in business since 1884. It was founded by Benjamin Beneteau and has remained a family company and is currently being run by Benjamin’s Granddaughter Madame Annette Beneteau Roux. “Madame Roux will always ask about the people, how are the people and what are their concerns?” Burdick said. Beneteau prides itself on being a family company. Burdick said last year was a difficult time and they remembered to take care of the people first. “We could have done things differently and saved a bunch of money but the reality is you have to be concerned about the people and the family first. We are here in a very special community and Marion needs us and we need our team to be successful,” Burdick said. “We have some amazing people, simply amazing, their talented, their skilled, their appreciative, their motivated because they want Beneteau to succeed,” Jennifer Reinman, Director of Human Resources said. The Marion Beneteau family currently has 150 employees. That is after 30 production team members were laid off last February because sales had fallen to new historic lows. “We’ve treated them well and they’ve stepped up to the plate and they want us to succeed and we will. It’s that conservative community oriented attitude,” Reinman said. Beneteau reports that sales have improved significantly from last year, though it will take years to be up to what sales used to be. “It’s going to take quite a while for people to have that confidence again and its not that the money has disappeared, the doctors still have the money and the attorneys still have the money and the big cheeses still have the money, it’s that they are more conservative with how they think about it. They need their confidence to come back and know the world is going to be ok,” Burdick said. Despite tough economic times Beneteau is continuing to make history. Last week their largest boat left Charleston to head to the Miami boat show. The 50 ft., injected deck boat is positive for the environment and positive for the physical characteristics of the boat itself and then it also gets a better finish that’s a huge investment and leap forward, Burdick said. Beneteau’s goal is to continue to make improvements and provide a better value to their customers. The Ben 36.7 Winter Owners meeting will be held on Friday, February 12 at Chicago Yacht Club Monroe Station. The meeting will start promptly at 6:30, so please try to be on time. If there are any topics you wish to discuss and don't see them on the agenda please send them to me. I have received a few points people would like to discuss. The Mac bar will be open for dinner that evening if you are dressed casual and the main dining room will be open for those who wish to eat there. 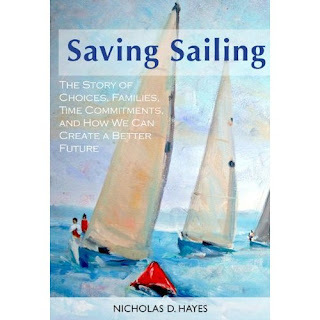 US SAILING Q&A with Nicholas Hayes - The Author of "Saving Sailing"
Nicholas Hayes was in Chicago last month for the Strictly Sail Boat show and to promote his book "Saving Sailing". With six more weeks of winter in the forecast, the book makes for great reading. Nicholas' book provides some great points on what the Sailing community should be looking at to harvest the sailors of tommorrow. It is a must read if you are a parent of a sailing child, would like your children to explore sailing or work in the capacity as a program director or manager for a yacht club or sailing school. The enclosed interview done by US Sailing really gets into some of Nicholas' ideas on what the sailing community should be focusing on. As parents of small children (who we hope will take up this great sport someday), and full-time stakeholders in the sport of sailing, we can tell you that Saving Sailing is on our favorites list. US SAILING: What was your experience like at NSPS? What did you learn? Nicholas Hayes: The group at NSPS was energetic, creative and thoughtful. I was hoping to witness the sharing of new ideas for teaching and retention with sound foundations and practical plans. I was especially excited to hear about both fledgling and fully-formed inter-generational sailing programs popping up in various parts of the country, some in partnership with other mentor-led organizations like the scouts, and others in a homegrown model. It was also fun to hear observations that clubs are starting to see grandparents and parents step in and sail with their kids. US SAILING: Talk about the discussions you had and the questions asked by participants of your breakout session? Did some have contrary or different opinions about the drop off in sailing participation? Nicholas Hayes: In the breakout, programmers from all over shared their plans to put parents and younger kids on the water together. I must say, ideas were abundant, attendees were generous in sharing experiences with their peers, and their peers seemed genuinely interested in adopting and adapting what was discussed in their own waters. The breakout was the highlight of my time at NSPS, and I think it will result in some great new sailing opportunities next season. I didn't sense, nor do I believe, that the macro participation numbers are in question, except perhaps in narrowly-viewed (an ill-informed) blogs that originate where specific fleets are strong. I don't take satisfaction in the fact that sailing is down; in fact, I view it as a tragedy of sorts (thus the book and the time-off work speaking tour). But I'm happy to report that at NSPS, I heard nearly universal concern on the part of the attendees for their clubs or the programs, combined with a real commitment to do something about it. I was very impressed with the group! US SAILING: You indicated that kids are signed up to participate in so many activities that they can’t truly develop enough skills in one to be ‘great’ or engage them enough to be interested in the activity for life… How can we ensure that sailing remains a life-long sport at a recreational level? Nicholas Hayes: The first lesson should be that kids are not lazy, but they are consumed and overcommitted, and that it is a parent's job to prevent this from happening. Second, the data doesn't show a shortage of skill in sailing by kids -- juniors programs are great skills-training machines -- instead, it shows that we have come to view sailing just like we view soccer: something we might try and master as kids, but not something important enough to continue and pass on. • Select programs that are designed for all ages. Create new ones if they aren’t available. • Never pit sailing against soccer. • Start early so family time becomes a habit. US SAILING: Do you believe the sailing community has been overly divided into categories (cruising, racing, types of racing, classes, etc.)? "In the last thirty years, as fleets and programs have shifted and specialized, sailors have unknowingly carved their common interest into special interests and at the same time have reduced their staying power as a group. The industry, in turn, has reflected those segments in its offers, and has amplified the effect. Fewer people sail on bigger and bigger boats that consume more and more lake frontage. Sailors with deeper pockets chase design advantages not available to the rest and deter popularization. More people outside of sailing think that sailing is a professional sport of sponsors and celebrities, when, according to the numbers, it isn’t and will never be (at least on a large scale). Most importantly, kids are isolated from parents in programs." It is easy to conclude that this isolation correlates to defection, and will leave the next generation believing that sailing is out of the question. Perhaps the most significant impact of the book to date is that clubs that used to think that they were competing are coming together to cooperate to rebuild a common base. The opposite of fragmentation is coalescence, and it's generally easy to do when one is motivated. US SAILING: Amateurs often compete against professionals… Some believe this is great for the sport. What is your take? Secondly, I like to race, and I like to take home a flag when I do... but the majority of sailors know that a race is meaningless except in the friendships that it secures and the memories that it makes. This perspective is shared by 99% of sailors, and applies to 99% of starts. Frankly, pros have no place in the vast majority of sailing as it is done today, and I don't see that changing much. I go to lengths in the book to explain how sailing as a profession doesn't sync well with sailing as a pastime. I've come to conclude that if someone is able to convince someone else to finance their fun, so be it... but the progress in technique or skill isn't worth the costs in the whole. I hope your readers will consider the evidence that I present and decide for themselves. US SAILING: You believe we should be honest about our sport. It is difficult, time consuming, frequently changing and sometimes risky… Are you concerned that the sport is being sold under false perceptions? Nicholas Hayes: Sailing is most certainly being marketed incorrectly in many places: Compare it to soccer or video gaming, and it takes on the thin veneer of a something only for kids. Or dumb it down for adults, and it loses its grand allure. The fact is that good sailing is hard, but it is almost always worth it. That said, I like to distinguish between easy and accessible at the point of entry. I don't think we should call it easy, but we can say that it is within reach, because it is (at community sailing centers and clubs all over the country).... and we should challenge each other and our friends to try it, and to then get better at it. Let me add: I don't think anyone should be "sold" on sailing. I think it should be presented as an option, and a great one, given its grand benefits (freedom, experience and friendship), and then the person should decide for themselves. Saving Sailing won't happen by making it popular. It will happen when people chose to do it well and for a long time, and when they share their contagious, authentic enthusiasm for it with others along the way. Often, it will start with a simple invitation: "Hey, you want to go sailing?" US SAILING: You mentioned that the perception of the sport is that it is expensive, which is negative in today’s economic climate… How do we begin to change that perception? Nicholas Hayes: I point out that newcomers don't see cost as an issue 95% of the time, and I've found ample supply of low cost sailing, so I don't think we need to worry about it much. We should instead focus on adjusting program calendars to sync more cleanly with a family schedule. When we get timing right, start kids earlier, and don't ask families to split up, we'll find more demand that most programs can handle. US SAILING: Do you believe that sailing is the ultimate family sport if organized and run the right way? If so, why? Nicholas Hayes: I do, and I know many sailors who concur. It's hard to imagine a grandma, son and grandson all playing soccer together, but it's easy to find them playing together on a sailboat. There are many examples of this happening now all over the country. Some might suggest that I am suggesting a "cultural shift" -- a change in the way that Americans and American families think and interact. In fact, it's quite the opposite. When a mom, dad and 6 year old daughter sail together, they are doing it as the result of having made some fairly simple, but very important choices and commitments. As they keep doing it, they influence and include others. Over time, their choices add up to something bigger -- better friendships, more open communication, a stronger family dynamic -- and we can start to see the sparks of a cultural shift started at the grassroots. I can't think of a better place for this to begin than on a sailboat, where problem solving, cooperation, concern for others and fun are there in ample supply. And the cost of entry is so low and the support networks (like the folks at NSPS) are so strong. Thanks to US SAILING for letting me be a part of this great event. The United States Sailing Association (US SAILING), the national governing body for sailing, provides leadership for the sport in the United States. Founded in 1897 and headquartered in Portsmouth, Rhode Island, US SAILING is a 501(c) (3) non-profit organization. US SAILING offers training and education programs for instructors and race officials, supports a wide range of sailing organizations and communities, issues offshore rating certificates, and provides administration and oversight of competitive sailing across the country, including National Championships and the US Sailing Team AlphaGraphics. For more information, please visit www.ussailing.org. The Battle to stop Asian Carp receives US funding. On Monday, President Obama met with Governor Quinn and other governors from the Great Lakes to identify a resolution for halting the Asian Carp's invasion of the Illinois Waterways. Efforts to limit any negative financial ramifications to the surrounding Marine industry are at the forefront as the interim solution of closing the water locks has been a topic of debate. The Attorney Generals from surrounding states have waged litigation against Illinois in efforts to effect our state's response to the issue. Monday's meeting resulted in a commitment of $78.5 million in federal resources to halt the Asian Carp's migration into the Great Lakes. Asian Carp DNA has been found in Lake Michigan-furthering concerns that it may already be too late. 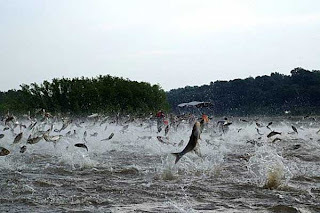 The Asian silver carp (Hypophthalmichthys molitrix) were declared an invasive species in 2007 under the Lacey Act in part because of their voracious feeding habits. The carp pose an ecological threat to the indigent flora of Lake Michigan, the Great Lakes and tributaries. The carp also pose a safety threat to boaters because of their large size and high jumping ability. Having made their initial entrance to the Mississippi River basin from containment ponds during flooding in the 1990s, they have been a lingering issue that has made it's way up the riverways to the Great Lakes. The impact to the boating community in South Lake Michigan is also at stake. There are still a considerable number of boat yards inland of the navigation locks that control the egress to and from Lake Michigan. Action to close or limit operation of the locks may have an impact to boaters in the local area. Limited operation for commercial barges and vessels is estimated to negatively impact Illinois economy by a loss of $1.5 billion per year in revenue and numerous losses in jobs. Note: The following is the official NMMA response to the comments made by the President. During your town hall event in Nashua, New Hampshire yesterday announcing your new, much-needed Small Business Lending Initiative, you made a remark which unfortunately associated buying a recreational boat with irresponsible spending. While we agree with you that consumers should always make responsible buying decisions before making any significant purchase or investment, we take issue with your characterization of boating as an extraneous or irresponsible purchase. As with your remarks about Las Vegas, we hope you will take the opportunity to recognize that boating is a fun, family activity that supports hundreds of thousands of American manufacturing and service jobs. businesses and net exporters, with annual sales of nearly $30 billion and a total economic impact of $100 billion. Boats are made by middle-class American workers for middle-class American consumers. Our industry creates jobs for well over 200,000 Americans—workers in factories in Elkhart, Indiana; Marion, South Carolina; Neodesha, Kansas; Fort Meyers, Florida and in hundreds of communities across the United States. These are the very small businesses that your Administration is working to help. By associating buying a boat with irresponsible spending, you send a very negative and unfortunate signal to boatbuilding workers, marine dealers, marina owners, marine suppliers and the thousands of marine industry employees in the United States. We cannot overemphasize how important it is to fuel American middle class recovery and growth with confidence and through responsible spending, rather than calling out an industry that is trying to work alongside your Administration to support job growth and U.S. manufacturing. We sincerely hope you will clarify your remarks and join us in celebrating a great American industry. consumer confidence, general economic uncertainty, and an unmitigated contraction of conventional commercial lending has brought boatbuilding production to a near standstill and reduced overall industry sales by nearly 30 percent. We estimate that more than 135,000 jobs in our industry have been lost, but we are optimistic that economic growth will return and employees will be re-hired if the Administration keeps focused on promoting a positive business environment. In particular, we applaud your renewed focus on small business lending, which has greatly exacerbated the impact of the downturn in our industry. While we are encouraged by your new Small Business Lending Initiative and support your efforts to increase access to capital, we hope that you will begin to pay particular attention to continued credit illiquidity in wholesale, or floorplan, financing. When a retailer cannot access capital to purchase new inventory from manufacturers, those manufacturers are forced to stop production, causing further painful labor reductions. Floorplan credit availability is key to any meaningful economic recovery for these industries. NMMA has worked with your Administration, including the Small Business Administration (SBA), the Treasury Department and the Federal Reserve Board, as well as the Congress in trying to find solutions to this ongoing problem. Your Small Business Lending Initiative should include specific efforts and incentives to encourage community banks and other lenders to provide floorplan financing to marine dealers at reasonable terms. Additionally, in July of 2009, SBA launched the Dealer Floorplan Pilot Initiative (DFP), which is specifically designed to address floorplan financing. This Initiative established a pilot 7(a) loan guaranty program dedicated for lines of credit that provide floor plan financing and allows auto, boat, RV, trailer and similar product dealers to acquire inventory. The SBA Floorplan Pilot Initiative has the potential to assist a wide array of product dealers in establishing critical lines of credit with SBA approved banks to replace lines that have either become unaffordable or have disappeared. However, after months of operation, this program has received scant participation by national, regional, or community banks. We have encouraged SBA to make specific changes to this program and to extend it to 3-5 years to encourage more bank participation, and we hope these changes will be made soon. Thank you for your continued efforts to improve the lending environment for businesses throughout the United States. We stand ready to assist you in efforts to improve the business environment, and we welcome you or members of you Administration to tour an American boatbuilding factory to see the quality of jobs our industry provides to Americans across the country. We are happy to help coordinate such a visit at any time. CHICAGO, Ill., February 3, 2010 – The National Marine Manufacturers Association (NMMA), the recreational boating industry’s largest trade group, has called on President Obama to clarify his remarks in Nashua, New Hampshire yesterday which associated purchasing a boat with irresponsible spending. The President made this off-the-cuff remark at a town hall event announcing his new Small Business Lending Initiative. The President has already apologized to Las Vegas for similar comments he made in the same speech. NMMA today sent a letter to the President encouraging him to visit a boat manufacturing plant and describing the U.S. boating industry. “Boats are made by middle-class Americans for middle-class Americans. By associating buying a boat with irresponsible spending, President Obama does a disservice to the very middle-class boat manufacturing communities across the U.S., such as Elkhart, Ind. We ask that he instead encourage Americans to spend responsibly and enact effective policies to get banks lending again so the American middle-class can get back on its feet,” said Dammrich. The U.S. recreational boating industry creates over 200,000 jobs in the United States, and has a total annual economic impact of $100 billion, including over $30 billion in new sales and services each year. Boating is a middle class activity where 75 percent of boaters have an annual household income of less than $100,000, and 95 percent of boats are under 26 feet in length. Recreational boating has been impacted by the distressed American economy, notably waning consumer confidence, tightened credit and banks’ unwillingness to support floorplan lending and the housing market crash. New powerboat sales decreased an estimated 28 percent in 2009 and 24 percent in 2008, leading to tremendous job loss and a decrease in boat manufacturing activity across the U.S.
About the National Marine Manufacturers Association (NMMA): NMMA is the leading association representing the recreational boating industry in North America. NMMA member companies produce more than 80 percent of the boats, engines, trailers, accessories and gear used by boaters and anglers throughout the U.S. and Canada. The association is dedicated to industry growth through programs in public policy advocacy, market statistics and research, product quality assurance and promotion of the boating lifestyle. For more information, visit www.nmma.org.